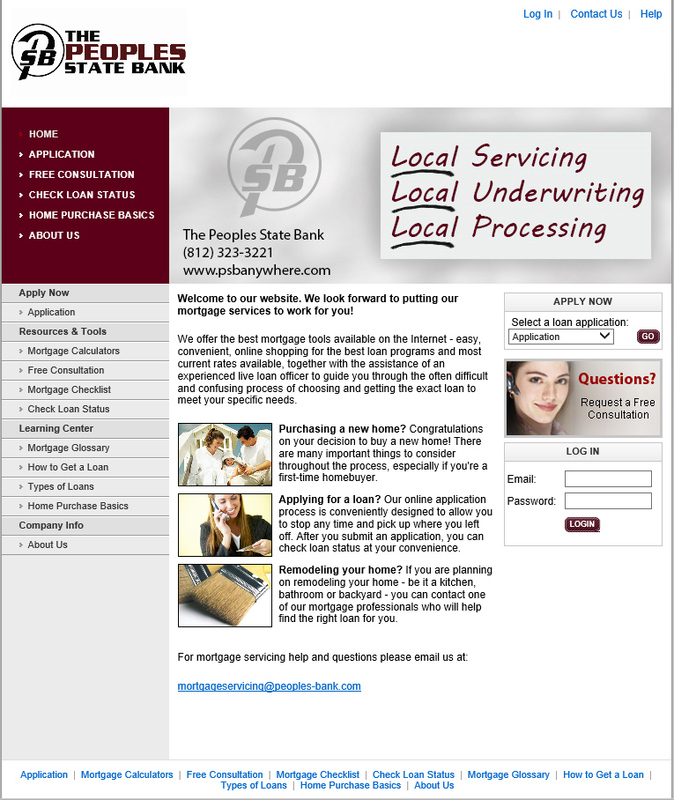 Let The Peoples State Bank get the best mortgage loan for you. When you decide to buy a home or refinance a mortgage, it’s a big step. You can trust us to find the loan program that’s best for you. Click the image below to redirect you to our Mortgage Home Page. Buying a new home is a source of anxiety, frustration — and a huge sense of accomplishment. You didn’t pick the house that was best for someone else, you picked the one that’s right for you! Trust our professionals to find the mortgage loan that best fits your needs, too. “Less paperwork and more personal attention” means you enter a frustration-free zone from application to decision. Getting the right mortgage loan is like getting the keys to your new house! We can help you get there. Tapping into your home equity is easier than ever before. You’ve been paying down your balance, and property values have gone up! Tap into that wealth and reward yourself. We’ll help with the best program to fit your goals. At The Peoples State Bank our mortgage professionals give you the personal attention you deserve and treat you with the respect due a valued customer. We understand you’re making a commitment in buying a new home, refinancing a mortgage or cashing out your home’s equity. So we make a commitment to you. We will help you qualify, apply and be approved for the right mortgage loan for you – Not anybody else! Please navigate our mortgage website to learn more about us, what we do for you, and how easy it is to get started. Note: To obtain The Peoples State Bank’s or one of its Mortgage Loan Originator’s Nationwide Mortgage Licensing System & Registry (NMLS) number you may do so by contacting our Human Resources Department at 812-876-2228 or email them at hr@psbanywhere.com.